Tampa Bay Downs will have ten races on Saturday, with first post of 12:42 p.m. 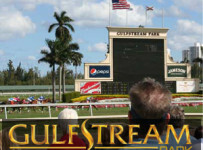 The Oldsmar track also will have simulcast wagering on the Florida Derby (Grade 1) and all of Saturday’s other races at Gulfstream Park. Today, we will carry the ninth race, with scheduled post of 5:00 p.m. It is a $10,400 claiming race at 6 1/2 furlongs on dirt for filies and mares 3-years-old and up. Bob Bauer, our Tampa Bay associate editor, will preview the race and will later provide post-race analysis. On each race day, Bauer does phone-in previews and reviews for RadioStPete. His previews usually run at 8:10 a,m. 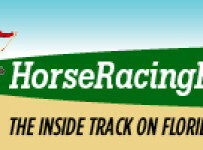 and a at 9:10 a.m. His reviews are carried several times between 5:00 p.m. and 7:00 p.m.
Tampa Bay Downs will be dark this Sunday, in observance of Easter.It will resume racing on Wednesday with ten races and first post of 12:30 p.m.